It has been a couple of years since Cassini was orbiting in Saturn’s equatorial plane before it returned in March of this year. On its journey back from the higher inclination orbits, Cassini flew by the icy Saturnian moon Rhea. These two composite colour pictures of Rhea were take about 30 minutes apart using a combination of clear, green, infrared and ultraviolet spectral filters. 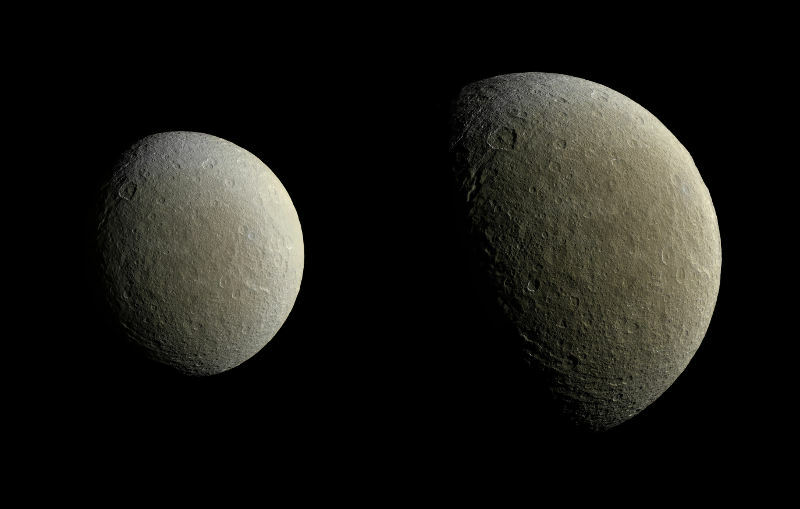 Cassini’s narrow and wide angle camera’s were used for these pictures of Rhea.